2017 – Permanent Exhibition, Tower House Galley. 2015 – Society of Botannical Artists annual exhibition, mixed, Westminster Hall, London. 2014 – Society of Botannical Artists annual exhibition, mixed, Westminster Hall, London. 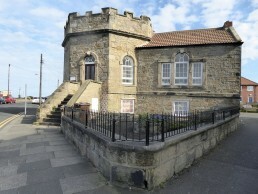 2012 – Permanent Exhibition, Rendezvous Café, Whitley Bay. 1999 – Summer Exhibition, mixed, Northumbria University. 1998 – Mixed exhibition, Bondgate Gallery, Alnwick. 1997 – Solo exhibition, Bedesworld, Jarrow. 1995 – Solo exhibition, Almshouses Gallery, Durham. 1993 – Solo exhibition, Buddle Arts Centre, Wallsend. 1989 – Solo exhibition, Calouste Gulbenkian Gallery, Peoples Theatre,Heaton, Newcastle. 1988 – Solo exhibition, Darlington Civic Theatre. 1988 – Solo exhibition, AIM (Artists in Middlesborough). 1987 – Solo exhibition, Durham Student Union, Dunelm House.